Nigeria’s former president, Chief Olusegun Obasanjo, has condemned the violent anti-immigrant protest and acts of intimidation against Nigerians living in South Africa. 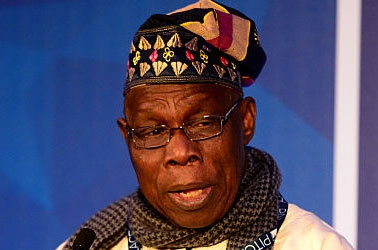 Obasanjo condemned the xenophobic attack on Wednesday in Abeokuta when he received the leadership of the Nigeria Institute of Policy and Strategic Study, Kuru, Jos who paid him a courtesy call. He blamed the development on the `laxity and insincerity’ of the South African government. He described the development as `betrayal’ of the struggle for the emancipation of the country against the apartheid regime. Obasanjo called on African heads of governments to provide good leadership for their citizens as part of efforts to enhance regional integration. He also stressed the need for the leaders to ensure good governance for the overall development of the continent. He said: “I will apportion more blame to the leadership of the South African government. “While the immaturity of the youths can be excused, the leaders ought to realise the importance of unity and brotherliness in Africa. “While I blame the youths of the country for the attacks, I will blame the leaders of any country more that allows xenophobic attacks against fellow Africans for whatever reason. “African leaders should also step up measures at developing their countries and improve the living standards of their citizens. “This will discourage our youths who because of under development and poor living standard seek greener pastures outside their countries.